With the rise of artificial intelligence, messenger chatbots, virtual reality and SMS marketing, it can sometimes seem like traditional forms of marketing, like email newsletters, aren’t worth the time or the hassle. Businesses are always looking for ways to stay “top-of-mind” for their target audience. And while sending email newsletters may not seem like the trendiest things to do, it’s an effective way to reach your audience and to keep them remembering you. How often are you going to send them? Quarterly, monthly or weekly? It depends on your audience; how often do you expect they would like to see your content. Think about segmenting your mailing list – perhaps some recipients are more engaged than others and would like to hear from you more often? If you start of with sending your newsletter once a month, you can always increase the frequency to every two weeks or weekly if you want. 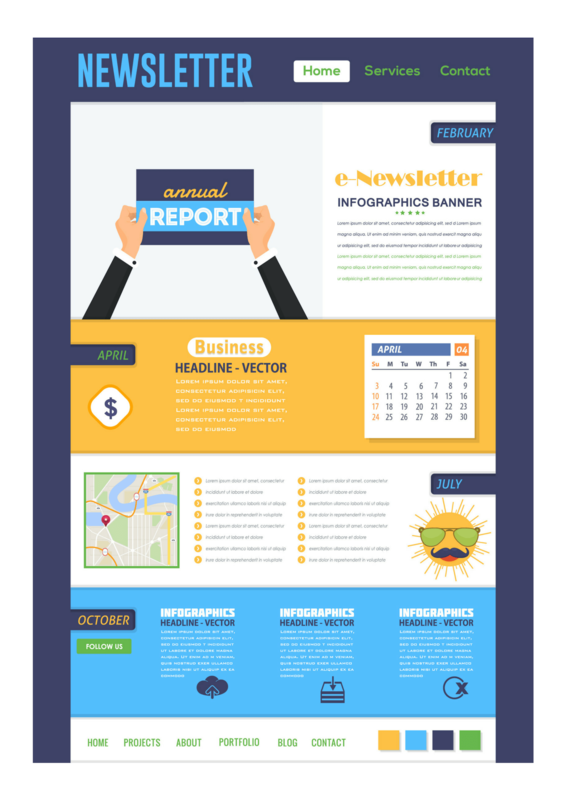 Company newsletters typically help brands interact with their audience and build relationships with their leads and customers. But each newsletter you send should have its own specific objective, whether it be to raise awareness of a specific product or to encourage recipients to read your latest blog posts. Check out our blog post How to Set Your Own SMART Goals for 2019 to explore how setting specific goals will help you to keep on track. The design is down to you – but mailing providers like Mail Chimp and Constant Contact offer some good templates you can use. The rest is down to you create your email newsletter, test them and listen to what your recipients think. Keep an eye on your open, CTR and unsubscribe rates. They’re a good indicator as to how well your newsletters are performing.